On Saturday the 19th of November, Janis and I had the privilege of attending the 27th annual workshop of the Women’s Committee of the Economic History Society titled ‘Women, Activism and Reform’. 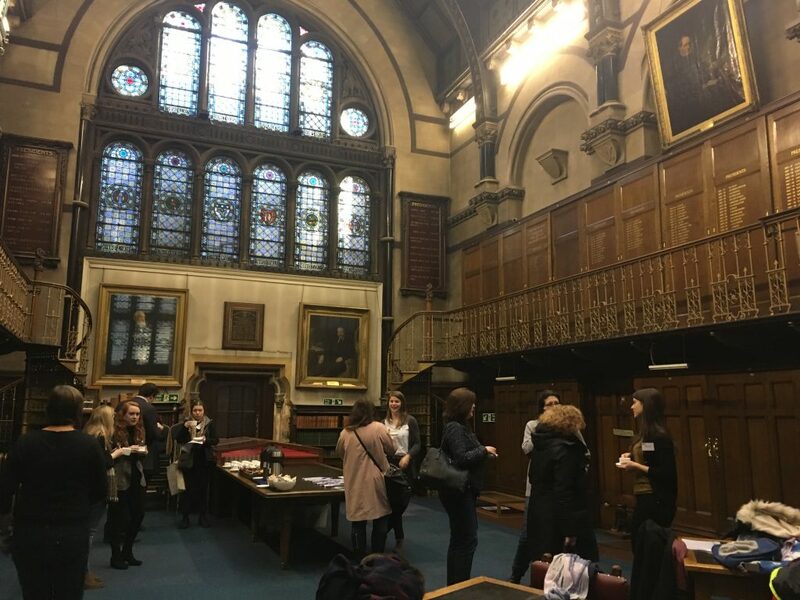 The event was hosted at the Mining Institute in Newcastle, a fantastically beautiful building that houses an organisation that is ‘dedicated to the professions of mining engineering, mechanical engineering, mining electrical engineering and related professions’. At first I thought that this would be an odd place to host a Women’s event on economic history and activism, but it ended up being the perfect place. There was something beautiful and empowering about having so many incredibly smart, dedicated, and passionate women in such a historically male space. Being overlooked by walls of old, white men in the lecture theatre while hearing histories of women activism was incredibly inspiring. 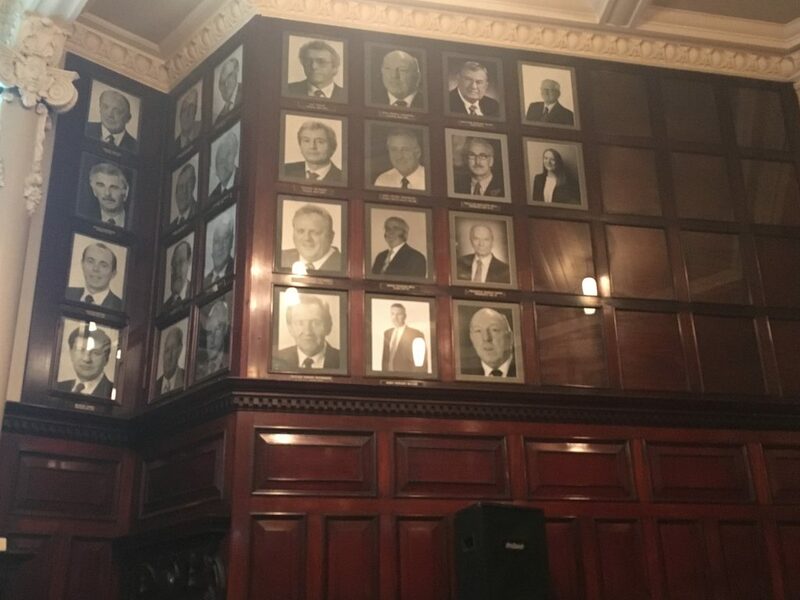 Having said that, if you look closely at the picture above you can see that the current president of the Mining Institute is a woman: Catherine Marianne Miller! and other times the papers focused on larger movements. A particularly interesting talk for me was Maria Fernanda Lanfranco‘s (University of York) talk on Women’s transnational organisations and solidarity with Chile. She is only in the first year of her PhD, but it was absolutely fascinating to hear about transnational women’s solidarity from a historical perspective. It’s incredible what women have done to stand in solidarity with one another around the globe without the use of digital technologies – there were massive networks that communicated through traditional mail. I really look forward to hearing more about Maria’s work! There was also a lot of talk about motherhood, with an entire session dedicated to it. Many different perspectives, also asking what non-motherhood meant, seeing it as more than an act of Gynaecological Resistance. I was just looking for a wikipedia article on this topic to link to on here, but there isn’t one! (perhaps I shouldn’t be surprised about this?) Instead, I found quite an interesting read about the ‘Petticoat Rebellion’ in Jamaica, so here you go! Something I take away from this event is that we, as fempower.tech, need to get out more. It’s clear that in HCI (and associated fields) we lack a little bit of feminist theory, and there is a lot we can learn from history. One question to ask ourselves when building technologies for women’s activism, support, or reform might be: how did people develop massive movements prior to the internet and quasi-ubiquity of digital technologies? So, like the wives of imprisoned radicals of 1812, let’s become role models for each other! Let’s learn from each other, and become critical friends of ours and each others’ feminist research!